The Wednesday Whack-Job: NAMA | What I think About When I Think About Writing. 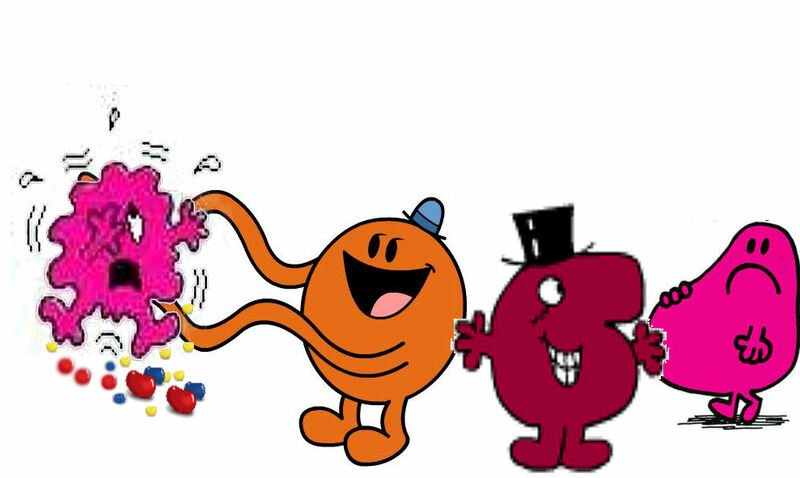 NAMA: (definition) The National Asset Management Agency (as opposed to the Nicely Arranged Models Agency); a body created by the Irish Government in 2009 as a response to the Irish financial crisis and the deflation of the Irish property bubble. In a nutshell (a): NAMA will function as a bad bank, acquiring property development loans from Irish banks in return for government bonds, primarily with a view to improving the availability of credit in the Irish economy. In a nutshell (b): It hasn’t and will not work. Images and text courtesy of Bock The Robber. 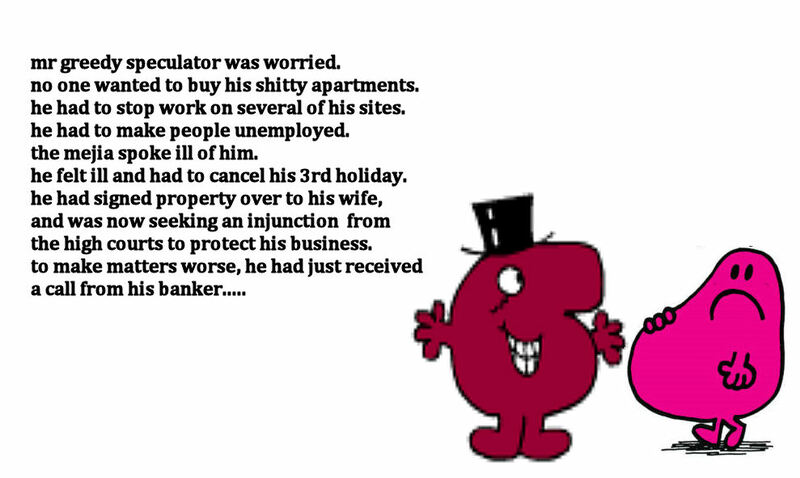 This entry was posted in Humour, Life, Wednesday Whackjob and tagged Bad bank, Banking Services, Banks and Institutions, Business, Economy of the Republic of Ireland, Financial Services, Government of Ireland, Mr Men, National Asset Management Agency. Bookmark the permalink. Funny . . . and sad. Dagnab it! I guess I’ll have to resort to pretzels instead. You’ll have to let me borrow your Teleporter sometime. The economic debacle in words of one syllable. And with jellybeans. What more could one want?